Mass Doe and Intermediary Copyright Infringement Lawsuits: Shakedown or Swift Justice? I gave this CLE presentation to the Orange County Bar Association’s IP Committee this week. As with most of my PowerPoint presentations, you can’t get the full effect of the overall presentation from the slides alone – the slides generally just cue things that I talk about. Every election cycle some band gets mad that a politician with unwelcome views has used the band’s song during campaign events. I even blogged about one such instance HERE. 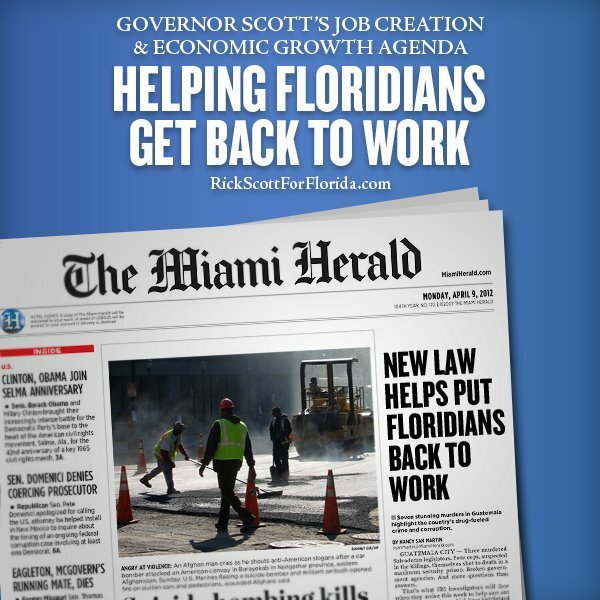 The problem is that, according to the Miami Herald, it never ran a “New Law Helps Put Floridians Back to Work” story. In fact, RPOF’s ad agency replaced the true headline (“Murders highlight rise in crime in Guatemala”) and the lead photo from the March 5, 2007 edition of the newspaper. While political speech is nothing less than sacred under the First Amendment, this is pure deception. I’m breaking the “Florida” part of Florida IP Trends to post a link to this article. Will the mass-Doe infringement suits be the genesis of this vision of society? Charlie Crist apologizes to Talking Heads’ David Byrne over campaign song.